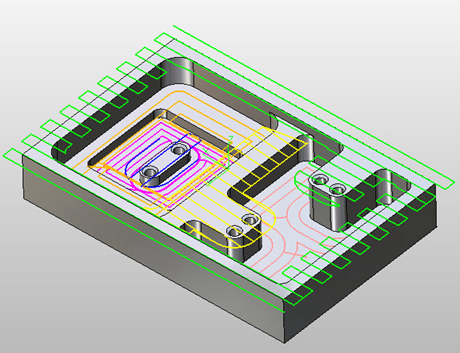 ZW3D 2X Machining offers basic CAD and 2 axis CAM functions. It provides various machining strategies to fulfil roughing & finishing requirement for 2X counter, pocket etc. Further to this, it features intelligent hole & 2X milling tactic. ZW3D 2X Milling is the solution for all kinds of 2 axis milling, 2.5 axis milling, turning and drilling machine.